Enjoy the many benefits of a Farm Bureau membership. Take a look. Have a question regarding your benefits? Have a legislative issue? Feel free to call us at the state office 802-434-5646. A new PROPANE benefit with AmeriGas. Member pricing is based on a mark up over the AmeriGas index which will be updated twice per week. To set up an account contact Bill Rhino at William.Rhino@Amerigas.com or 518-491-0973. You must provide your membership number, and your membership must be current. Pricing current as of April 16th, 2019. Market pricing of PROPANE products will include a RACK plus differential shall mean the rack price (as determined by direct and indirect costs incurred by Suburban Propane). 10% off all labor to include farm service or any shop labor. 5% off any passenger, light truck , farm, medium truck tire (recaps and OTR tires). 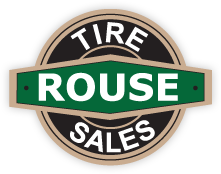 Visit Rouse Tire Sales in Middlebury and Williston. SPECIAL FARM BUREAU MEMBER PRICING ON SELECT CATEGORIES Easy Ordering and FREE Standard Parcel Shipping*EXCLUSIVELY AT GRAINGER! Exclusive member prices on products in these categories! Exclusive member prices on select products from these brands! 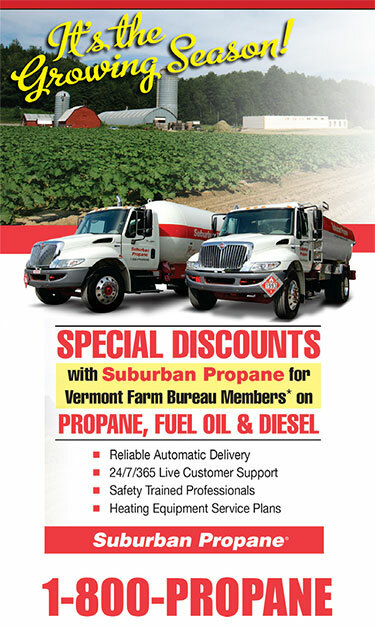 To be sure you get your Farm Bureau member prices, always reference Vermont Farm Bureau's organization account number when visiting your local branch, making a telephone order, or when setting up your personal account online. If you have questions or need assistance, please call 1-802-434-5646 or visit your local Farm Bureau office. Visit Farm-Way, Inc. Vermont Gear in Bradford, Vermont. Complete outfitters for man and beast. 20% off Farm-Way country furniture and gifts. Enter Code: VTFRB at checkout to receive your discount. Dungarees carries a massive inventory of premium men's and women's work wear brands, including one of the largest selections of Carhart in the nation. Conveniently located in the central U.S., you are usually never more than a few shipping days away. 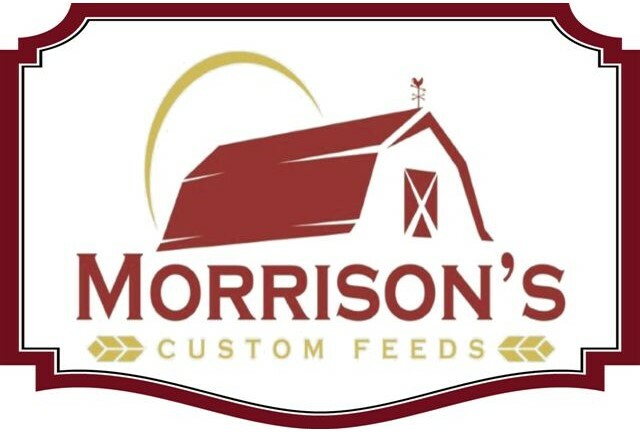 Family owned and customer-focused. They don't just sell the gear, they wear and use it too. Their friendly and knowledgeable customer-service staff is happy to answer your questions. VERMONT Farm Bureau members are eligible for a complimentary John Deere Rewards upgrade (Platinum 2 status) - which unlocks the best loyalty rewards including valuable equipment discounts. Register today, and explore all that Rewards has to offer. Vermont Farm Bureau members can save up to $2,500 on the purchase or lease of eligible Cat® wheel loaders, small and medium dozers, backhoe loaders, compact track loaders, multi terrain loaders, skid steer loaders, telehandlers, mini hydraulic excavators and excavators. Members also receive an additional $250 credit on work tool attachments purchased with new Cat machines. These discounts can be combined with any current retail discount, promotion, rebates or offers available through Caterpillar or its dealers, with the exception of the Cat NCBA membership incentive. You must present the certificate at time of purchase or lease quote to receive the discount. One certificate required per machine. Eligible Farm Bureau members may obtain an unlimited number of certificates, but certificates do expire. If you have questions or need help obtaining the certificate, please call 802-434-5646 or visit your local FB office. Vermont Farm Bureau members save $500 per unit on the purchase or lease of Case IH Maxxum® tractors; Farmall® C series utility, U series utility and 100A series tractors; self-propelled windrowers and large square balers. A $300 per unit incentive is available for Case IH Farmall® C series compact and Farmall A series utility tractors, Case IH Scout® utility vehicles and other hay tools, including round balers, small square balers, disc mower conditioners and sicklebar mower conditioners. Visit your dealer and make your best deal. Then present your discount certificate to subtract another $300 - $500 from the bottom line. Your certificate, along with valid ID, must be presented to the Case IH dealer in advance of delivery to receive the discount. If you have questions or need help obtaining the certificate, please call 802-434-5646 or visit your local FB office. Receive significant savings on auto, farm and other insurance & financial services products. Farmers: Contact a Farm Certified Agents, and see how talking with someone who understands farming can help your operation. Farmers can call: 800-255-9913. 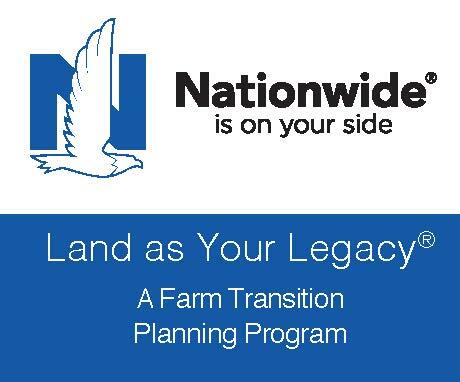 Non-farmers see why Nationwide is On Your Side®. Farm Bureau Discount RX Card A FREE Prescription Drug Card program that can save you up to 75% at more than 68,000 national and regional pharmacies. Create as many cards as you need for yourself, your family and your employees (full time, part time, seasonal). A supplement of most health insurance plans including Health Savings Accounts (HSA) and High Deductible Plans. Use as a Medicare Part D supplement by providing discounts on non-covered drugs. This program has "LOWEST PRICE" logic to guarantee that you pay the lowest price on your prescriptions (you pay the lower of a discount off the Average Wholesale Price-AWP, a discount calculated off MAC Pricing, or the Pharmacy Promotional/Retail price). 800-800-3937 Eyeglass discounts. Reference group #107. Save money on your prescriptions and over the counter drugs. Vermont’s only mail order pharmacy! The Marketplace is designed to help you find health insurance that fits your budget. It allows you to compare plans based on price, benefits, quality and other features (important to you). Many people qualify for free or low-cost health insurance programs or get a break on costs through the Marketplace. Receive discounts for up to 55% off pricing on hearing instruments before you purchase hearing aids. A tax-advantaged benefit program that saves farmers an average of more than $5,000 a year. We're offering this program through a partnership with TASC (Total Administrative Services Corporation), a national third-party benefits administrator. DEDUCT Federal, State, and FICA taxes for family health insurance premiums and out-of-pocket medical, dental, and vision expenses. It's a Section 105 Health Reimbursement Arrangement (HRA). The key benefit is that you can declare family medical costs as business expenses, rather than personal deductions. On Average Clients save more than $5,000 a year. Deduction and full audit guarantee. Whether you are looking for an upscale hotel, an all-inclusive resort or something more cost-effective, Wyndham Hotels & Resorts has the right hotel for you! As a Vermont Farm Bureau member, you will save up to 20% off the Best Available Rate* at over 8,000 participating hotels worldwide. Discover the benefits of booking your vacation with Wyndham Hotels & Resorts as a Vermont Farm Bureau member. Our vast portfolio of hotels and resorts offer a variety of accommodations to meet your travel needs. Wherever people go, Wyndham will be there to welcome them. Through our partnership with Choice Hotels, Vermont Farm Bureau members are eligible to save up to 20% off best available rates at participating Ascend®, Cambria Suites®, Clarion®, Comfort Inn®, Comfort Suites®, Econo Lodge®, MainStay Suites®, Quality Inn®, Rodeway Inn®, Sleep Inn®, and Suburban Extended Stay® hotels. Vermont Farm Bureau members always receive up to 25 percent off Avis base rates* with Avis Worldwide Discount (AWD) number A298845 In addition, enjoy additional offers** like dollars off, a complimentary upgrade, or a free weekend day. Visit www.Avis.com/VTFB or call 1‑800-331-1212 to make a reservation. Avis Car Rental operates one of the world's best-known car rental brands with approximately 5,450 locations in more than 165 countries. If you have member benefit questions, please call 1-802-434-5646 or visit your local FB office. 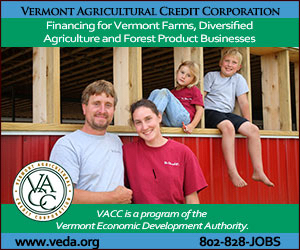 Vermont Farm Bureau members always save up to 25 percent off Budget base rates* with your Budget Customer Discount (BCD) number Y775745. Plus, get other great offers** like dollars off, a free upgrade, or a free weekend day. Visit www.Budget.com/VTFB or call 1-800-527-0700 to make a reservation. Budget Car Rental is one of the world's best-known car rental brands with approximately 3,350 locations in more than 120 countries. If you have member benefit questions, please call1-802-434-5646 or visit your local FB office. Telephone Services include local and long distance, and personal toll-free numbers. Internet Services via a local dial-up number. Roadside assistance 24-hour emergency protection. Enjoy Exclusive Membership Benefits and Special Offers. Membership dues reimbursement – Spend $15k 12 months prior to your membership dues billing date and Farm Bureau Bank will pay your annual state membership dues. See more info by clicking here. 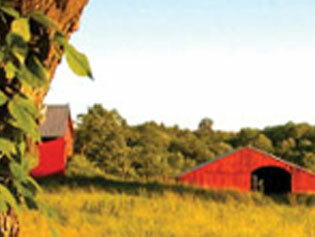 With Farm Bureau Member Rewards MasterCard, there's no limit to how many points you can earn. Plus, points don't expire for four full years. For more detailed information, see the complete Terms and Conditions.